One of the MUST-DO items on our list was to sail the harbour in style on a junk boat. 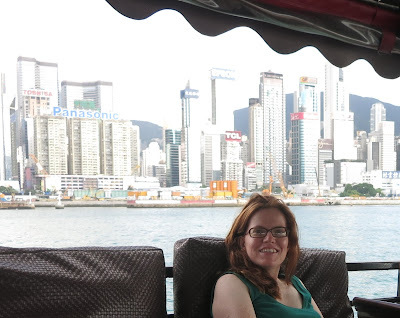 This week we enjoyed a cruise with unparalleled views of the city’s skyline aboard the Aqua Luna, one of the last handcrafted traditional Chinese junks in Hong Kong. Oh yes, I enjoyed that same cruise...we were rained upon,however!